Deciding on a phone service? Before you choose a phone service, know what kind of service you’ll be getting from them. Dropping a call while walking into the store is extremely frustrating, as is having one bar of service in your living room. Look at a coverage map – Cell phone coverage can be weaker in some areas and stronger in other areas closer to cell phone towers. Check out this map of cell phone coverages to find the hot spots in your new area and to see if your new home will get you four bars… or one. 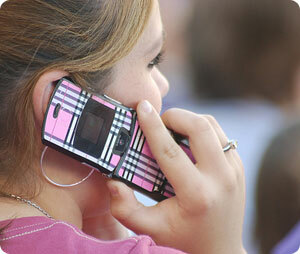 Learn more about phone service providers.